The Eddie award is the highest honor American documentary editors can win. 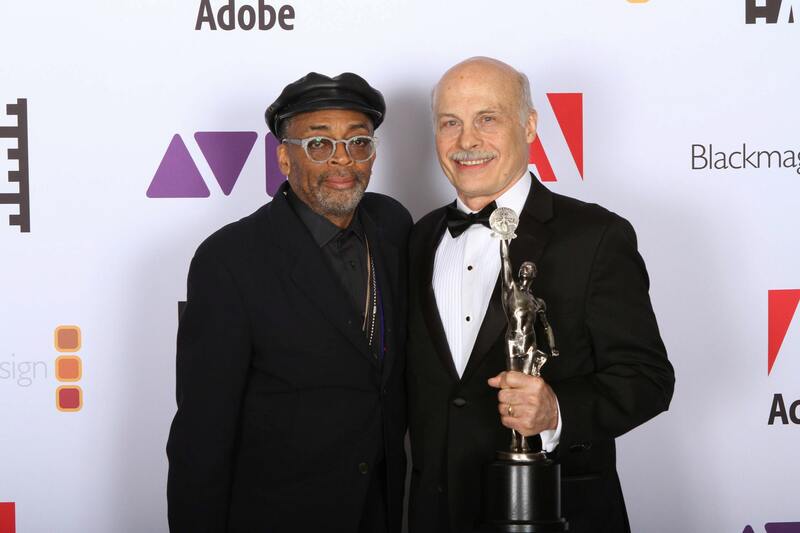 Last Friday night, New York Film Academy (NYFA) Documentary Department editing instructor Bob Eisenhardt, ACE, won it. If you’ve seen Free Solo, you’ll immediately know why. The 2018 film focuses on rock climber Alex Honnold as he attempts to climb El Capitan, the vertical rock formation in Yosemite National Park, without ropes, or “free solo.” El Capitan is so dangerous, no one has ever tried before, and Honnold is the only person to have ever accomplished the feat. 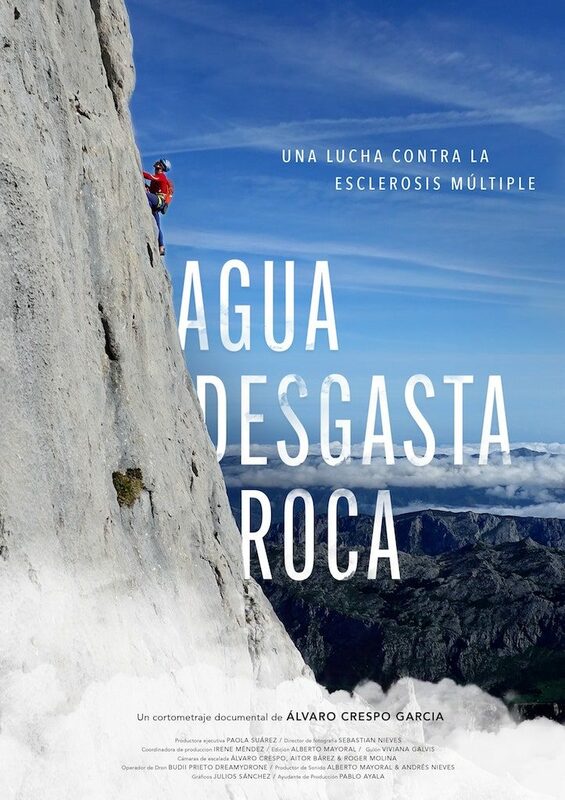 The documentary has been praised for its unparalleled look at such an intense climbing experience. 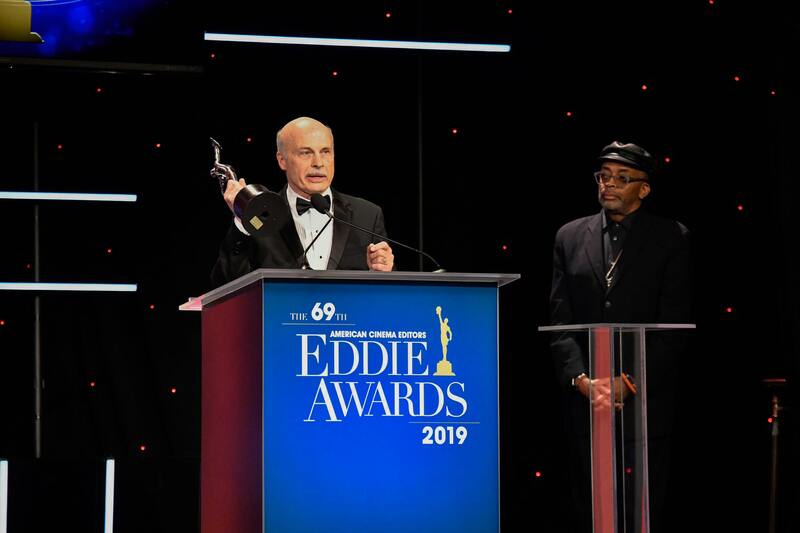 His fellow editors in the American Cinema Editors (ACE) guild voted Eisenhardt’s work on Free Solo, National Geographic’s current Academy Award nominee, Outstanding Editing on a Documentary (Feature). Filmmaker Spike Lee presented him with the Eddie and his Free Solo directors, Elizabeth Chai Vasarhelyi and Jimmy Chin, saw to it that he was properly feted. Eisenhardt’s NYFA Docs students acknowledge his Jedi master editing skills on pretty much a daily basis, but it’s nice to see the big guns officially shouting him out too. This is Eisenhardt’s second Eddie Award. He was previously acknowledged for his Outstanding Editing on HBO’s feature doc, Everything Is Copy. Since the Academy Awards does not present an award for documentary editing, the Eddie is documentary filmmaking’s uncontested top honor. 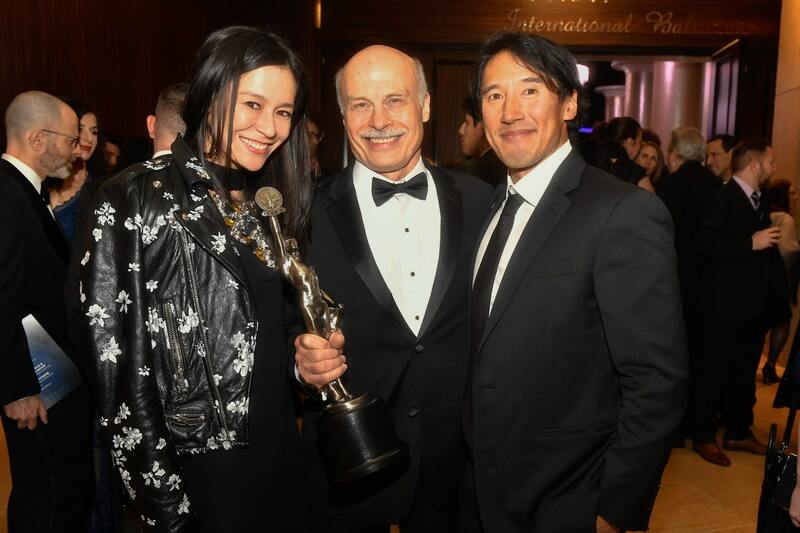 Free Solo is the fourth film Eisenhardt has cut to be nominated for an Academy Award, which also just won the BAFTA. Additionally, Eisenhardt was previously nominated for an Oscar as a director, and has won three Emmys and been nominated for several more. Films he’s cut have been awarded multiple Emmys and nominated several more times. One even earned a Grammy nomination! The New York Film Academy congratulates instructor Bob Eisenhardt on his prestigious win at the Eddie Awards and wishes him and the crew of Free Solo the best of luck at this years Academy Awards! 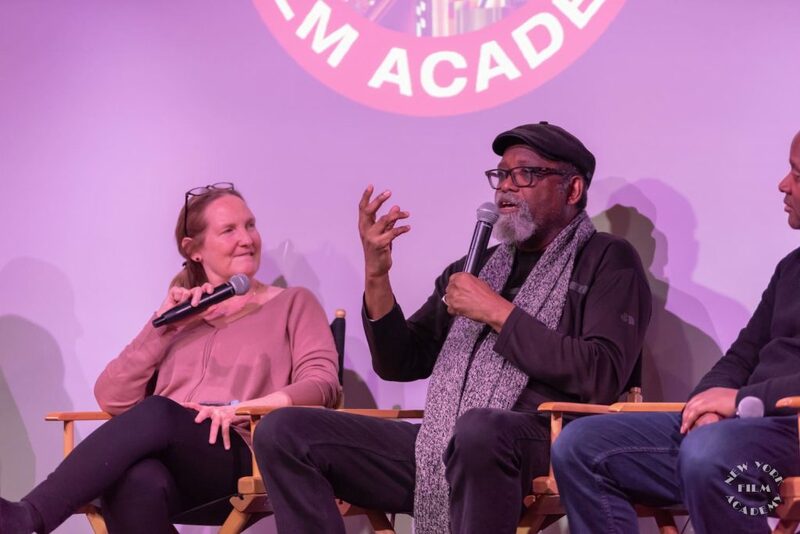 On Thursday, February 7, New York Film Academy (NYFA) screened the critically-acclaimed, crowd-pleasing, box office documentary hit, RBG, with the film’s cinematographer and instructor for the NYFA Documentary Filmmaking program, Claudia Raschke participating in a Q&A with students afterwards. RBG tells the story of Supreme Court Justice and surprise millennial icon Ruth Bader Ginsberg (aka “The Notorious RBG”). The Flatbush, Brooklyn-born Justice was appointed by Bill Clinton in 1992, becoming only the second woman to serve at the highest federal court in the United States. Ginsberg still serves on the Court and is currently the second-most senior Justice. The film was directed by Betsy West and Julie Cohen and has been nominated for and won multiple awards since its debut at Sundance. It is currently nominated for the Academy Award for Best Documentary Feature; “I’ll Fight” by Diane Warren, from the soundtrack of RBG, is also up for an Oscar for Best Song. Director of photography Claudia Raschke has worked on four other films previously nominated for Academy Awards, as well as Peabody, DuPont, and National Board of Review Award winners. Her oeuvre includes acclaimed documentaries as varied as My Architect, about Louis Kahn, Mad Hot Ballroom, which focuses on a New York dance program, and Particle Fever, which tracks the experiments of the Large Hadron Collider that ultimately discovered the Higgs boson (aka the “God particle”). Working with Claudia has been a dream come true in more than one way. Every step you take with the camera in your hand and every little movement you add with the camera while you are shooting should have a thinking behind it. That is the approach with which students like me have had the fortune to learn at New York Film Academy with Claudia. Making every second of the story powerful through visual storytelling is what Claudia is capable of making you learn. She is an inspiring teacher and an even more motivational person! There is so much attention to detail in Claudia’s teaching; she prepares you for any situation. When I went to see RBG, I bragged about how Claudia taught us to light interviews and how she kept the lights from reflecting off of the Justice’s glasses. It is easy to see why her work is so esteemed. She gives honest and practical feedback but her compassion for every student and their films is what makes her classes so great. Having the opportunity to work with renowned professionals in their field one-on-one is priceless! 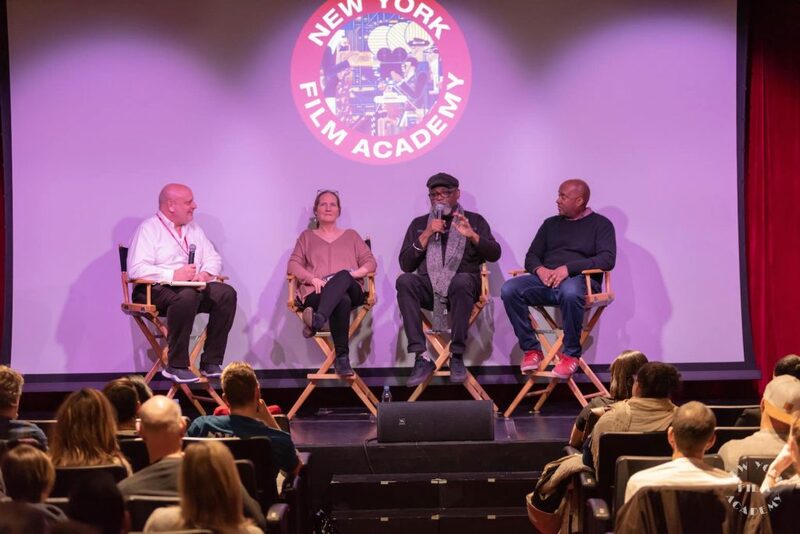 It’s what sets NYFA apart from other great programs around the world. Being taught by Claudia is an amazing space to be in. She allows for creativity and ideas to grow in a playful way. Being taught by a female cinematographer who’s worked her way up in a male-dominated industry is very inspirational to watch and learn from. 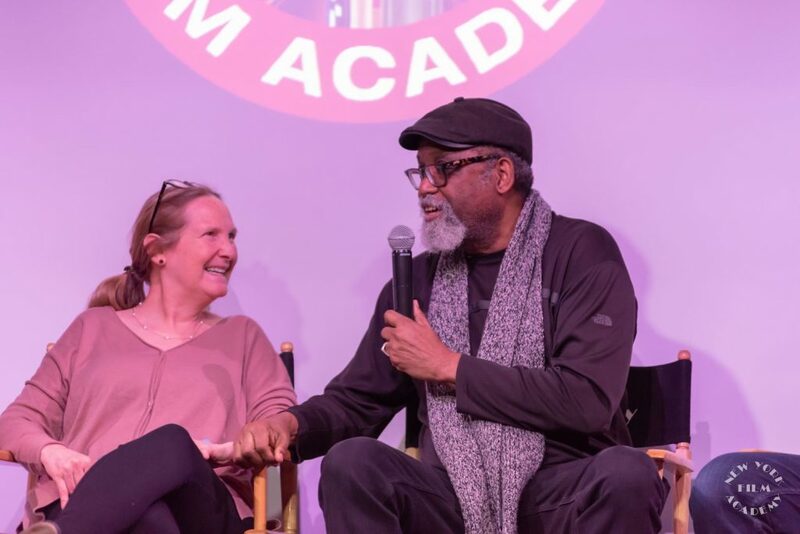 The New York Film Academy thanks Documentary Filmmaking cinematography instructor Claudia Raschke for speaking with students and congratulates her on all the success RBG has seen so far! 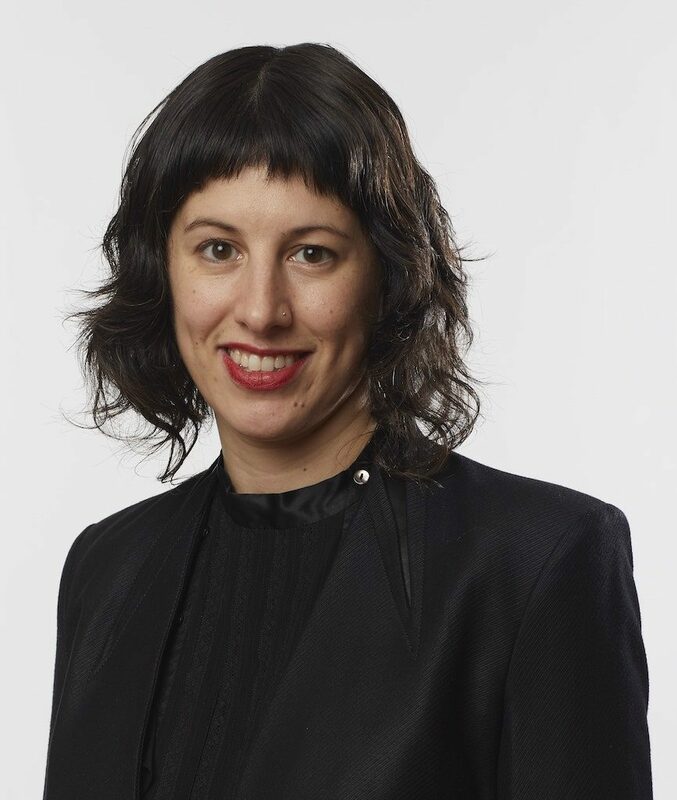 New York Film Academy (NYFA) Documentary Filmmaking Instructor Jessica Wolfson produced and directed The Columnists for WSJ. Magazine, a video series of intimate conversations with renowned figures reflecting on various themes that have guided their careers. The project has its roots in On Point, a coffee table book from WSJ. Magazine, a glossy news and lifestyle monthly magazine by the publishers of The Wall Street Journal. 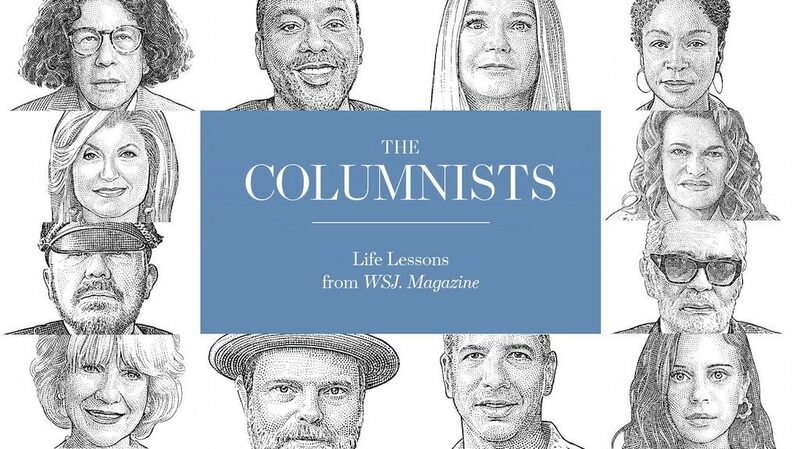 The book, released September of last year, included interviews from the publication’s renowned column The Columnists. The new series has six parts and a 20-minute short film, directed and produced by Wolfson. This is the second project Wolfson has made for The Wall Street Journal. 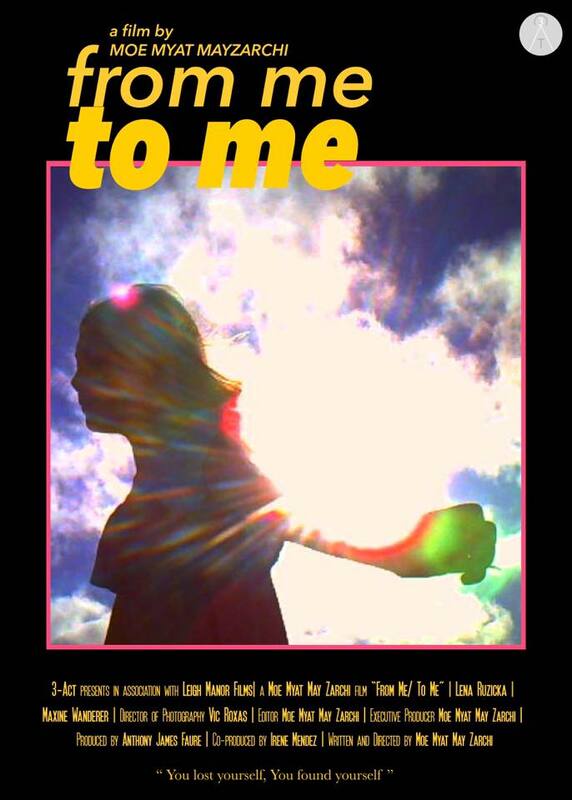 Her earlier project was Drawing the Future, a video tech series. Wolfson is a photographer and documentary filmmaker who has directed shorts including Night People, Iowa Mixtape, and Play a Round with Me, as well as films Radio Unnameable and Hot Grease. Additionally, she teaches for the Documentary Filmmaking department at New York Film Academy’s New York City campus. Episodes of The Columnists are based on a particular theme, including Luck, Risk, Mistakes, and Willpower. 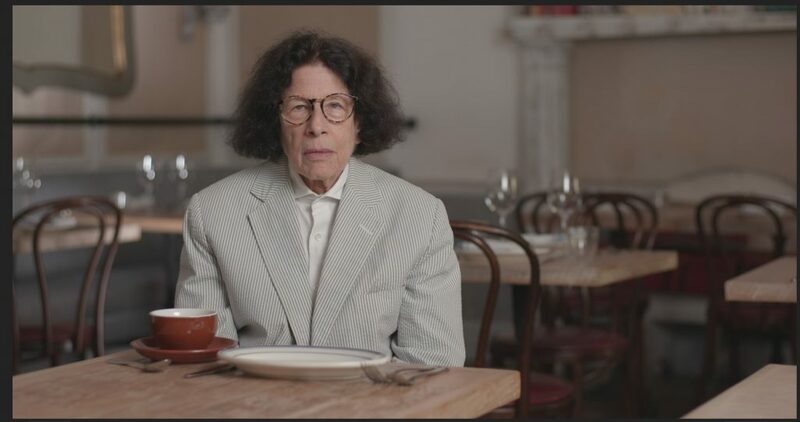 Notable subjects speaking on these topics include, author Fran Lebowitz, director Lee Daniels, Huffington Post co-founder Arianna Huffington, television star Rainn Wilson, and the late Chanel designer Karl Lagerfeld. Wolfson also worked with Associate Producer and graduate of NYFA’s Documentary Filmmaking program Nancy Dionne. Dionne researched crew and shooting locations in Canada, Paris, London, and New York for the series. “It was the kind of call where you hang up and jump up and down smiling saying, ‘Yes!’” Dionne tells NYFA. She was also more than happy to work with Wolfson, who she met at NYFA. Currently, The Columnists is a limited series, but Wolfson is eager to shoot additional seasons in the future. 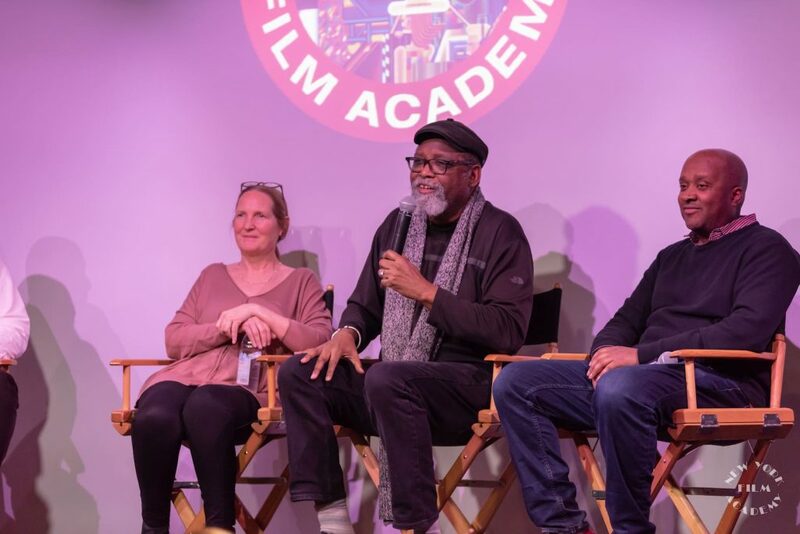 The New York Film Academy congratulates Documentary Filmmaking instructor Jessica Wolfson and alum Nancy Dionne on The Columnists, and thanks them for taking the time to speak to NYFA about their experience! UPDATE: The winners were announced last night, February 11. 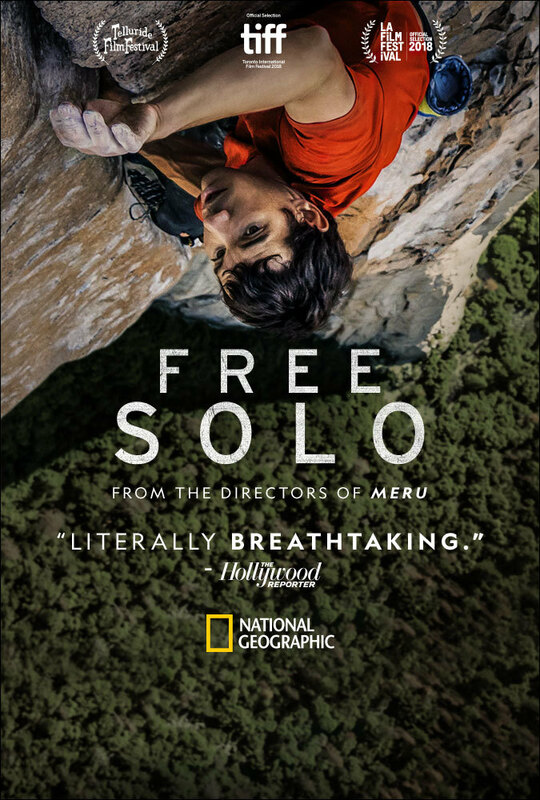 The list includes Free Solo, which won Best Documentary, and which was edited by New York Film Academy (NYFA) instructor Bob Eisenhardt. The full list of winners for this year’s BAFTA Film Awards are named below. Nominations for the 2019 BAFTA Film Awards were announced earlier today, as this year’s awards season continues towards its crescendo. The BAFTA Awards are given out by the British Academy of Film and Television Arts, and celebrates cinematic achievements by both British artists and those around the world. The Academy was formed from the combination of the Guild of Television Producers and Directors, founded in 1953, and the British Film Academy, started in 1947. The first BAFTA Award went to silent film star and filmmaking legend Charlie Chaplin. Many of this year’s BAFTA nominees should seem familiar, as they have already been recognized by various industry guilds as well as this year’s Golden Globes. Historical comedy The Favourite dominated the nominations with a total of 12 following star Olivia Colman’s win for Best Actress at the Globes. 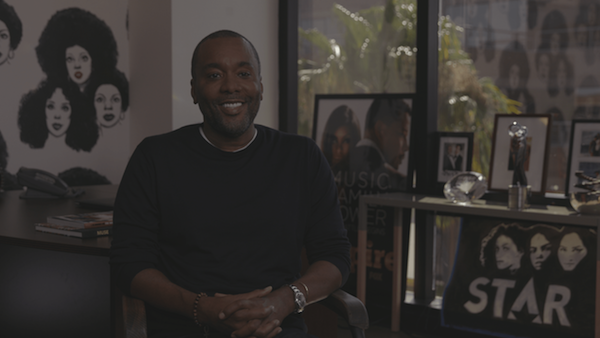 Spike Lee picked up his first BAFTA nom for directing Best Film nominee BlackKklansman. Bradley Cooper broke BAFTA records by earning five nominations from five different disciplines for his film A Star is Born, which received seven total, including Best Film. 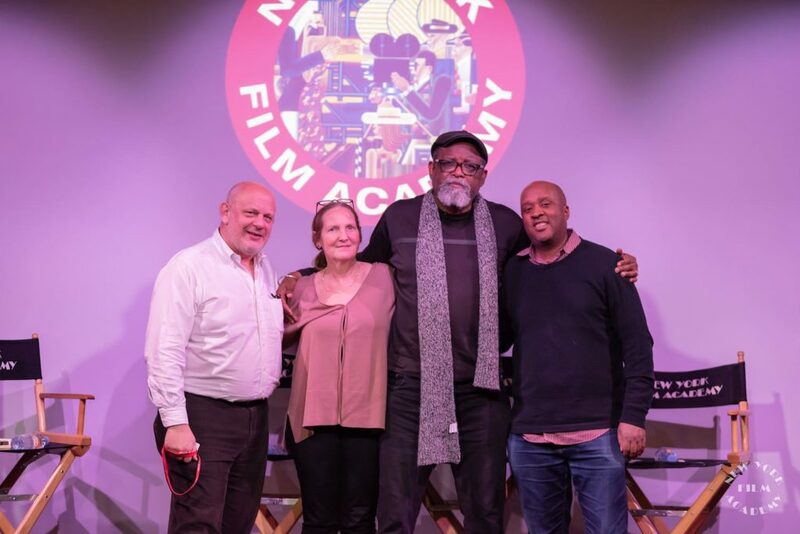 Two previous guest speakers of New York Film Academy (NYFA) also received BAFTA nominations. 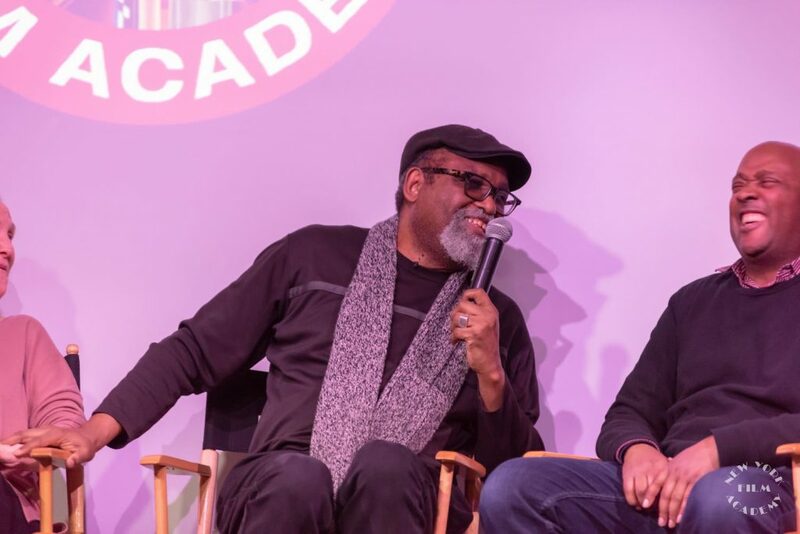 Adam Driver, who spoke with NYFA students at our New York campus last year, received a nod for Best Supporting Actor for his work in BlackKklansman. Glenn Close, who also spoke with NYFA students, picked up a Best Actress nomination for her starring role in The Wife. Close won earlier this week at the Golden Globe Awards for the same performance. Three films that were worked on by New York Film Academy faculty and alumni also received BAFTA nominations. Avengers: Infinity War received a nod for Best Special Visual Effects. NYFA 3D Animation and VFX alum Francesco Panzieri worked on the visual effects team for the epic blockbuster. Additionally, two of this year’s Best Documentary nominees feature work by faculty members of the NYFA Documentary school. 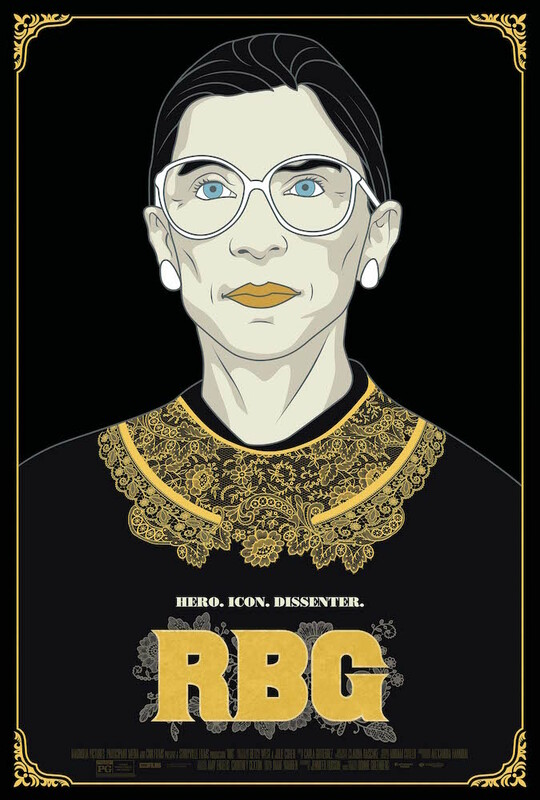 RBG, the hit documentary about Supreme Court Justice Ruth Bader Ginsberg, was shot by director of photography and cinematography instructor Claudia Raschke. Free Solo, the critically-acclaimed film about Alex Honnold as he attempts to free climb El Capitan, was edited by instructor Bob Eisenhardt. Both films are also shortlisted for the Academy Awards, whose nominations will be announced later this month. New York Film Academy wishes them the best of luck! Here is a full list of this year’s BAFTA nominees. The WINNERS are listed in bold. 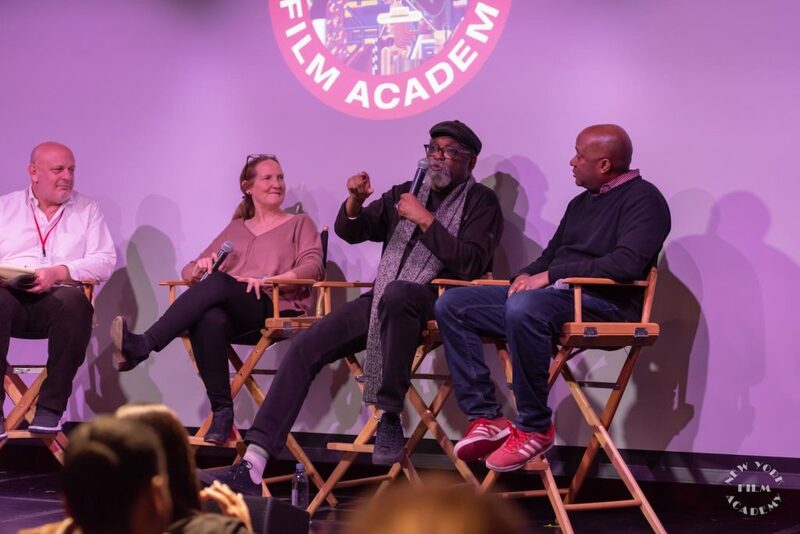 “I can honestly say that the 1-year documentary program at NYFA in Los Angeles gave me very well-rounded skills. Although it was an intense program, I learned how to do literally pretty much everything myself. Meaning: writing, producing, directing, filming, editing, and sound mixing. And also how to make completed films during a short amount of time. Producer Julia Cheng (’18) launched production of two feature documentaries in Beijing: The Invisible Shore, a feature doc directed by Qi Zhao, who produced both Last Train Home, The Chinese Mayor, and The City Dream, directed by Weijun Chen who previously directed Please Vote for Me. Guy Yang (Fall 2016 MFA) Right after graduating with his MFA in Documentary Filmmaking, Guy Yang was hired by Radio Free Asia, based in Washington D.C. as a broadcaster. The station has also asked him to develop three documentary series that focus on social issues in Eastern Asia. He will work with a team, researching and producing episodes and also filming, editing, mixing and, delivering packages to the station. Yang says, given his experience at NYFA of working on multiple projects quickly, he will continue to produce and direct his own documentary projects as well. 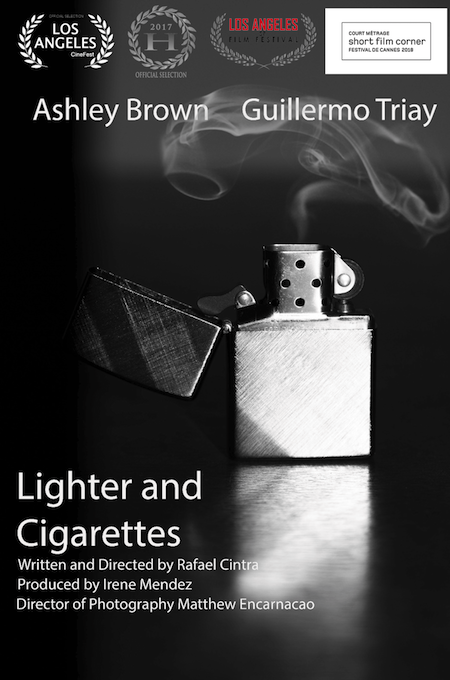 Ashley Harris (Fall 2015 MFA) is served in the U.S. Navy as a Second Class Petty Officer. She came to NYFA in Fall 2015 and graduated with an MFA in Documentary in September 2017. In November of that same year, she interviewed with and was hired by Participant Media as Assistant to the Senior Vice President, Documentary Film and TV. She said that she loves the work and continues to grow with the company. Paul Gallasch’s (‘11) new feature documentary, Love in the Time of Antidepressant, produced with grants from both Screen Australia and the South Australian Film Corporation, premiered to great enthusiasm at the 2018 Adelaide Film Festival. 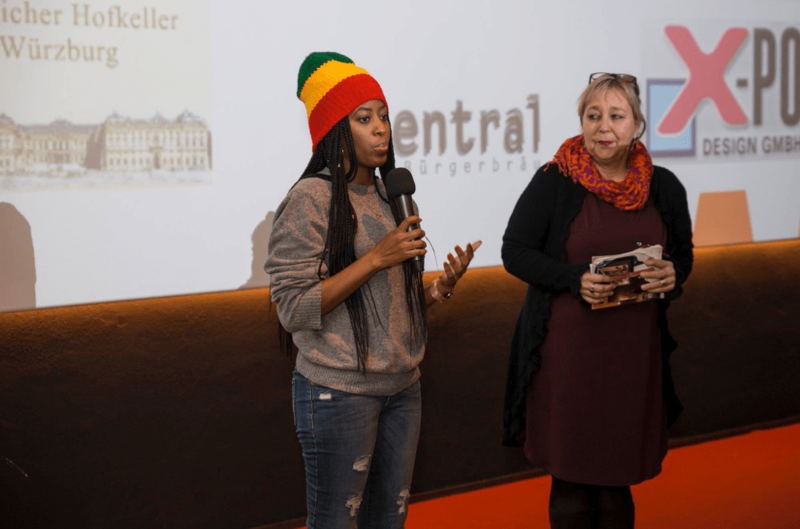 Paul was also a 2018 Points West Fellow at the 2018 Camden Film Festival. Dikeos Foudeas (Spring 2015 1-Year) was hired for A/V production at the Alaska Airlines Center in Anchorage, Alaska for the University of Alaska Anchorage. 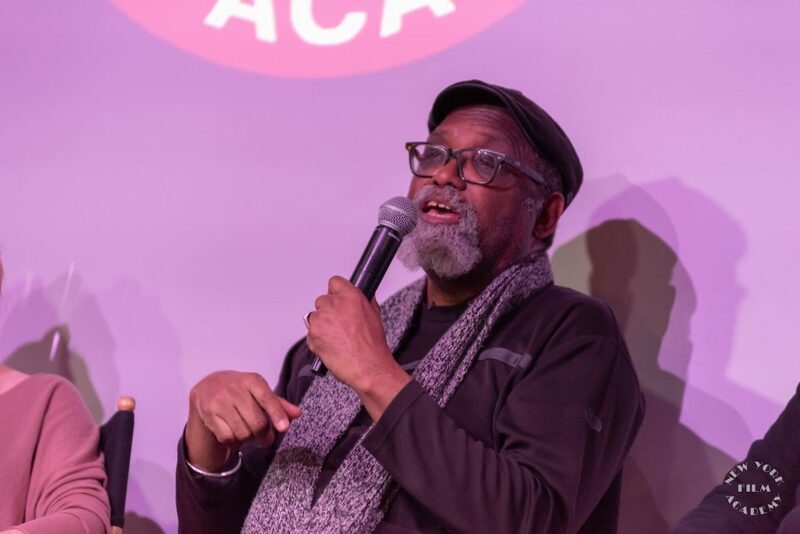 Kay (as we affectionately refer to him) has said “I strongly believe my employment was influenced by the training I received at NYFA.” He also continues to work freelance as a videographer in Anchorage, Alaska. Dade Shields (Fall 2014 1-Year) is a native to Southern California and was always interested in outdoor cinematography. In 2018, Shields produced and shot several branded content mini documentaries for TravisMathew (a sportswear clothing line) as part of their Life on Tour series. Shields continues to shoot sports-themed documentary footage and recently partnered with professional skimboarder Blair Conklin to create YouTube channel Skid Kids, which quickly amassed over 2,000 subscribers. Rachael Pelzer (Fall 2014 1-Year) is originally from the Midwest and began working as a logger for Herzog & Co right out of graduating NYFA’s Documentary program. 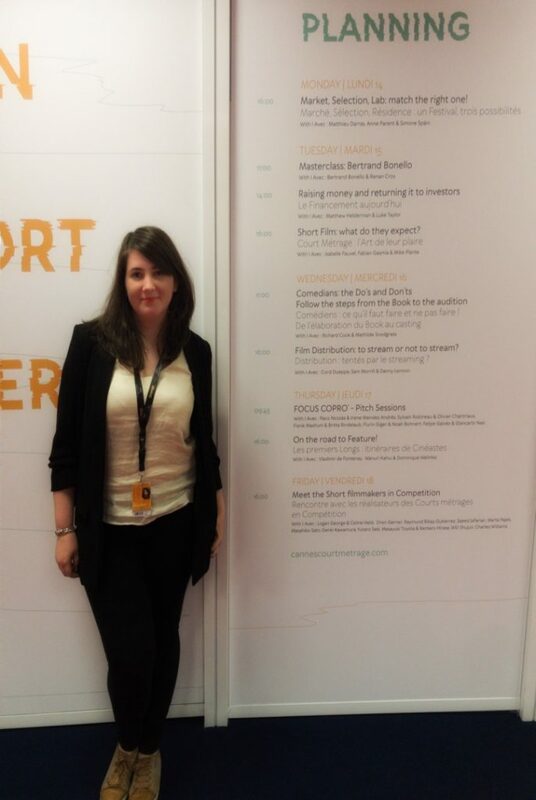 She’s been at Herzog for four years and is now their Post Production Coordinator. Her credits include: 1968: The Year that Changed America and The History of Comedy—both series aired on CNN. 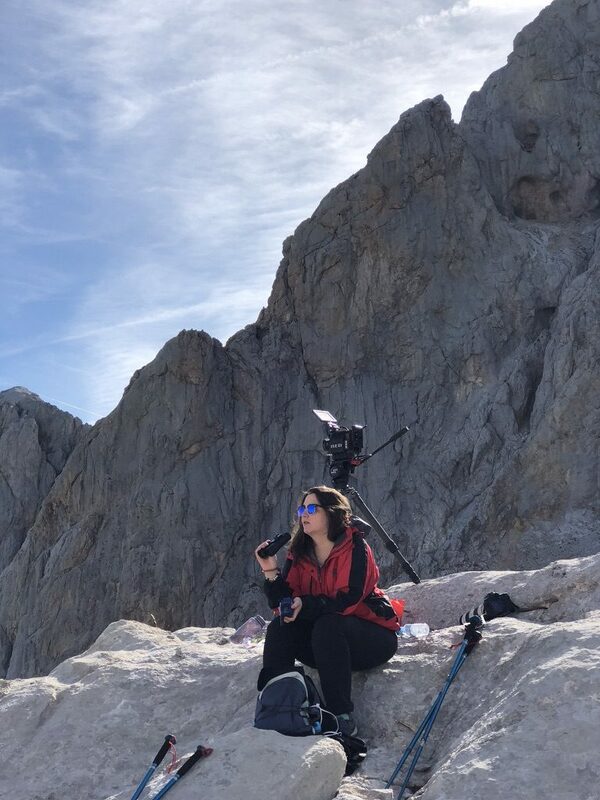 Rachael continues to credit NYFA for training her in production and this past year revived her 1-year film to develop it into a feature documentary with the help of fellow alum, William Nestlehutt. The two continue production on Rachael’s Hip Hop Ohana. 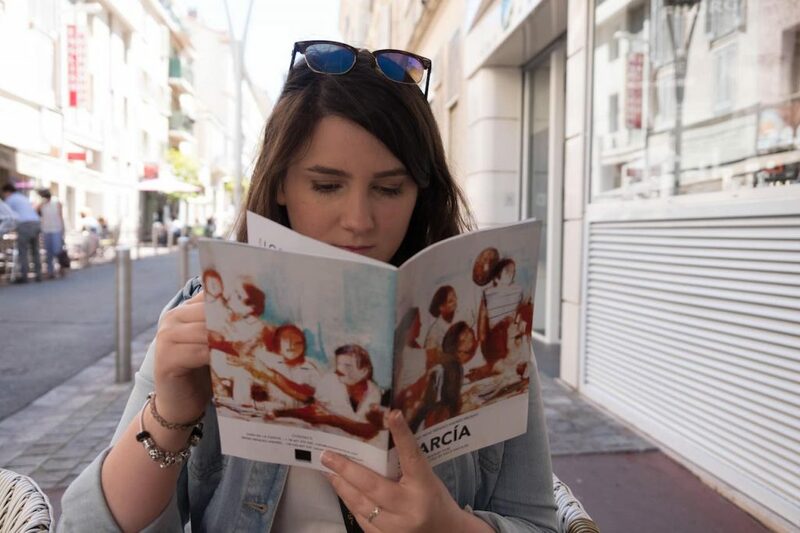 Marie Vanderrusten (’16) signed on as editor of Ma Ville, Notre Idéal (My City, Our Ideal), airing daily on France 3. The series focuses on young people inventing new apps and industries to take on problems including climate change, overpopulation, poverty, overconsumption, and pollution. 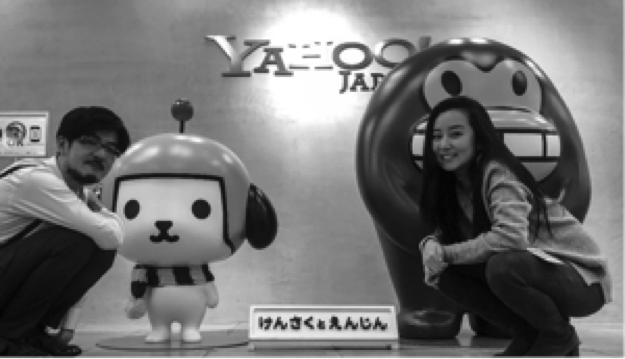 Executive producer Yusaku Kanagawa (’15) hired Mariko Ide (’16) as a story consultant on his Creators Program platform at Yahoo Japan. Peabody Award-winning production companyTransform Films staffed Nancy Dionne (‘18) as Associate Producer. Her semester one film, All I See Is the Future, will also premiere this month at Winter Film Awards International Film Festival, screening on Feb 19 and Feb 20. In a unique trifecta, NYFA Docs grads became chief filmmakers for three of the foremost arts institutions, The Metropolitan Museum of Art (Alex Guns (‘10), Joe’s Pub at The Public Theater (JR Cronheim (’12), and New York City Ballet (Laura Snow ’11). Santiago Machado (’18) began a gig with the United Nations Department of Public Information (UN DPI) for the television section of the News and Content Branch, News and Media Division. 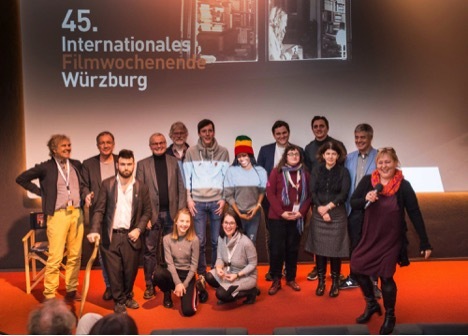 Colorist, Susi Dollnig (’12) has been invited to present a seminar at this year’s Berlinale (Berlin International Film Festival). David Diaz won the Southern Exposure Film Fellowship, for If They Build It, What Will Come, which he premiered at Wild & Scenic Environmental Film Festival. 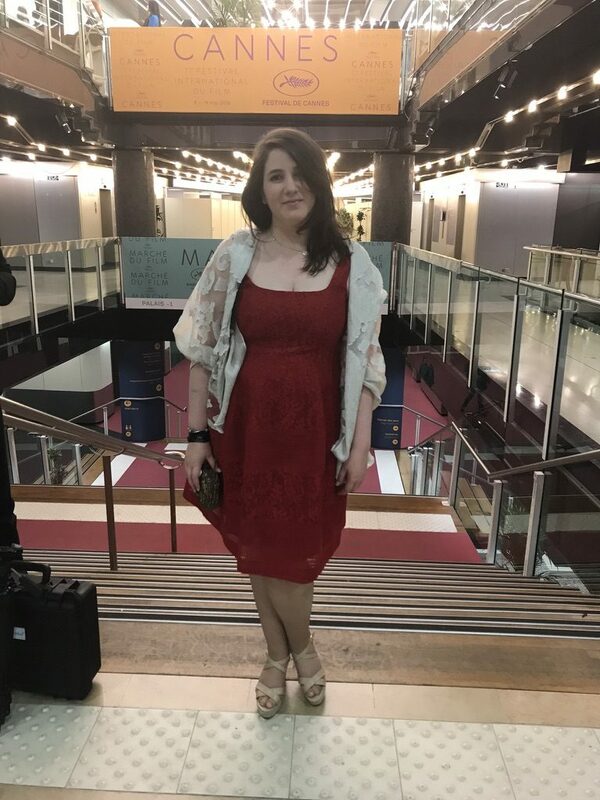 Hannah Currie was awarded Best Director at Under Wire Film Festival, for We Are All Here which is now also an Official Selection for both DOCfeed 2019 Film Festival and Glasgow Short Film Festival. Krisztina Danka’s Final Film, Violet and the Wildman, will make its North American premiere February 16 at the Cinema Verde Environmental Film Festival after winning the Golden Fox Award for the Best Educational Film in Kolkata, India. Edwige Pezzulli Stępniewska and Maria Giulia Mancuso Prizzitano‘s final film project for NYFA, Embodiment, is now an official selection of Corvallis Queer Film Festival, the Prisma Independent Film Awards and Ivelisecinefestival. Academy Award nominations were recently announced for Free Solo, edited by Bob Eisenhardt and RBG, whosedirector of photography is instructor Claudia Raschke. 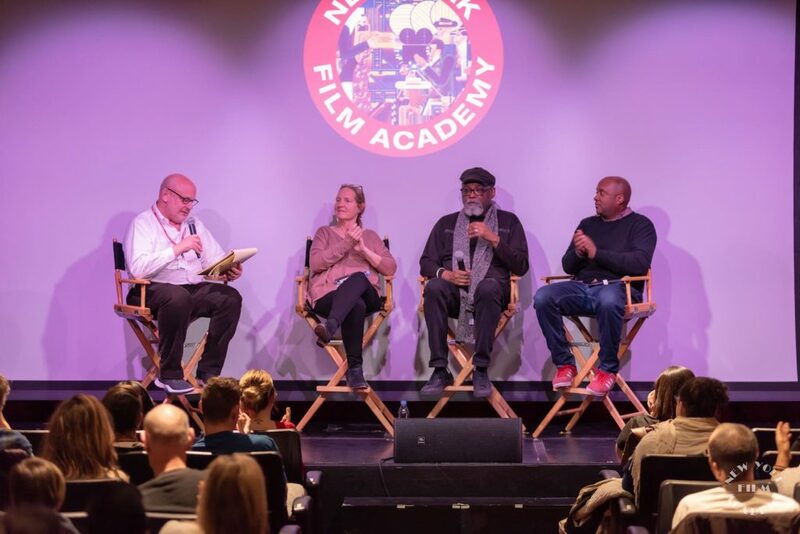 Director/instructor, Maxine Trump, premiered her new film, To Kid or Not to Kid at DOC NYC, published The Documentary Filmmaker’s Roadmapfor Focal Press, delivered a pilot for an ITVS series, and started production on The Tongass Legacy in Alaska. Editor/instructor, João Queiroga, also Chair of Post-Production, directed Our Skin, which screened at IDFA, Hot Docs, BFI, and DocLisboa, and was nominated for the Iris Prize and received the Lili Award. He produced the feature film I Can Only Be Mary Lane premiering at Doc’n Roll Film Festival in the UK, and is in production on both Digging For Life and Behind the Sun. Producer/instructor Tracie Holder’s film Grit, directed by Academy Award-winner Cynthia Wade, premiered at Hot Docs and will air on PBS/POV later this year. A film she is currently producing, The Quiet Zone, received Sundance, NYS Council for the Arts, and IFP/HBO funding, while A Place of Absence, the other film she’s producing, was awarded a prestigious grant Tribeca Gucci grant. Producer/instructor Dorottya Mathe finished post-production of Impossible Monsters a psychological thriller starring Santino Fontana that will be premiering at Cinequest on March 9, line produced the recreation segment of the documentary A Cops and Robbers Story that will be released in 2020, finished and produced The Independents, a modern folk ’n roll comedy that will soon be screened across the US after a successful festival run, and began production of The Tongass Legacy directed by fellow instructor, Maxine Trump. Chair of Documentary Filmmaking Andrea Swift taught a special workshop facilitating some of the kids from Newtown, CT in making micro-docs as well as a different micro-docs workshop for over 400 Fulbrightersat their annual conference. And finally, Dunya’s Day, associate produced by NYFA Documentary student, Aya Hamdan, won Sundance Film Festival’s Short Film Jury Award for International Fiction this January. 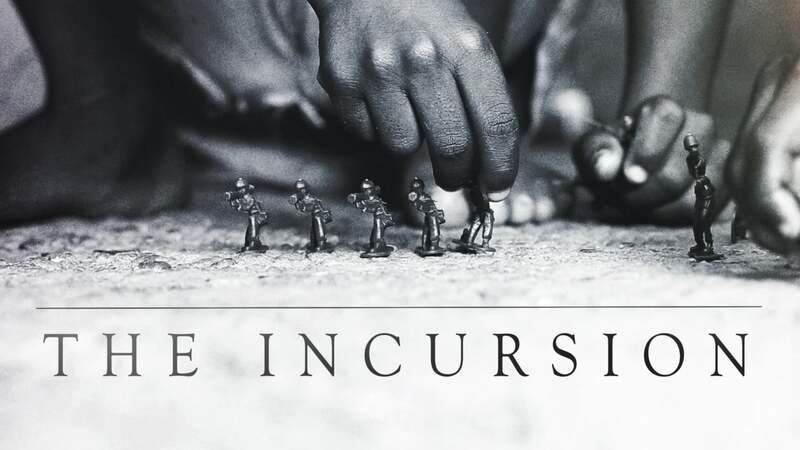 The New York Film Academy (NYFA) Documentary Filmmaking department is happy to announce the winter season of Pure Nonfiction at IFC Center, featuring ten documentaries playing from February 5 to March 26. The season opens with UNITED SKATES (Feb 5), winner of the Tribeca Audience Award, about roller skating in black communities across the United States. Two films will appear as sneak previews fresh off their Sundance premieres: Alex Gibney’s THE INVENTOR: OUT FOR BLOOD IN SILICON VALLEY (Mar 14), and THE BRINK (Mar 26, closing night of the winter season) about the former Trump strategist Steve Bannon spreading his nationalist ideas in Europe. Each screening features the filmmakers or other special guests in person. New York Film Academy students receive a discount at the door. Called “a vital outpost for award-winning documentaries” by The New York Times, the beloved docs series Stranger Than Fiction is being retitled to share a name with the popular podcast Pure Nonfiction, now in its fourth year. 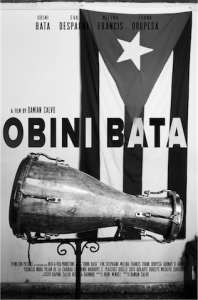 Both were created by Thom Powers, renowned Documentary Programmer of the Toronto International Film Festival and Artistic Director of DOC NYC, and Raphaela Neihausen, Academy Award-nominated producer and NYFA graduate. “Pure Nonfiction as a screening series at IFC Center shares the same mission as the podcast to illuminate the art of documentary making, so it makes sense for them to share the same name,” says Powers. Pure Nonfiction‘s winter season also includes a sneak preview of the new series THE CASE AGAINST ADNAN SYED (Feb 26) based on the case made famous by the Serial podcast. Director Amy Berg will present its first episode prior to its debut on HBO. 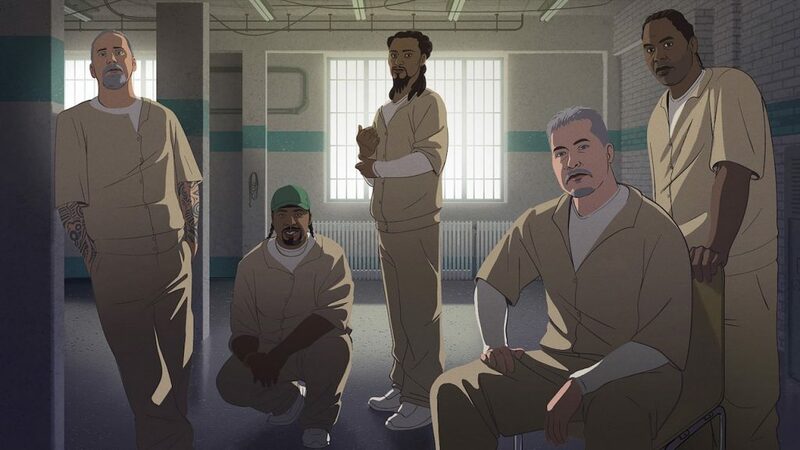 Other sneak previews include IT’S A HARD TRUTH, AIN’T IT (Feb 12) about prisoners learning to make films; and ONE NATION UNDER STRESS (Mar 19) with Dr. Sanjay Gupta, which looks to uncover why American life expectancy is falling. Classic revivals are a key part of the screening series. The season includes a double bill (Feb 19) with D.A. 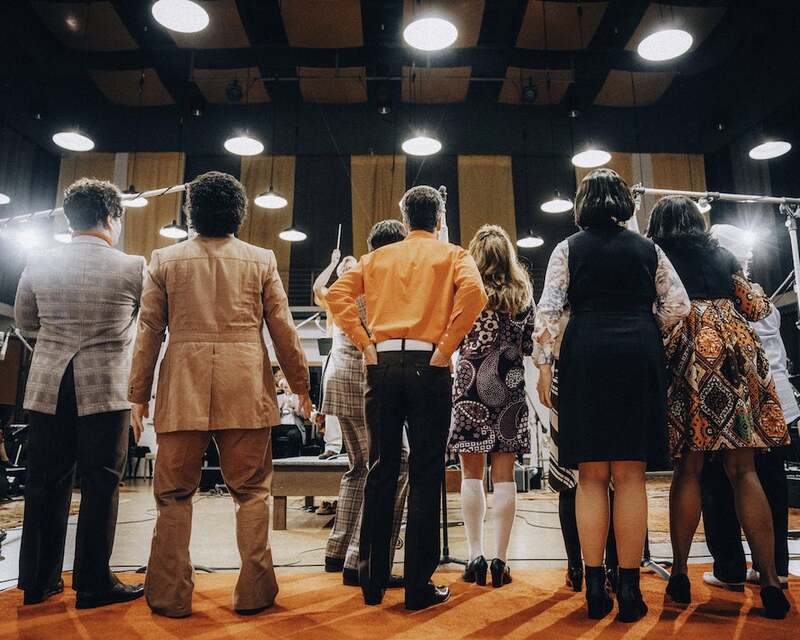 Pennebaker’s ORIGINAL CAST ALBUM: COMPANY (1970) about a studio recording of the Stephen Sondheim musical; joined with a new parody of the film from the series DOCUMENTARY NOW! titled ORIGINAL CAST ALBUM: CO-OP. (In a happy coincidence, DOCUMENTARY NOW! features NYFA grad, Bill Hader along with Fred Armisen.) Pennebaker will present the films with other colleagues who were part of the original. Other classics include the 20th anniversary of Doug Block’s HOME PAGE (Feb 21) about the emergence of a confessional culture on the internet; THE TRIALS OF MUHAMMAD ALI (Mar 5) that will memorialize director Bill Siegel who passed away last December; and THAT RHYTHM…THOSE BLUES (Mar 12) in a new restoration of the 1988 film that explored rhythm and blues music in the 1940s and 1950s. The Pure Nonfiction winter season takes place at the IFC Center every Tuesday night at 7:30 pm for eight weeks, plus special Thursday screenings on Feb 21 and Mar 14. 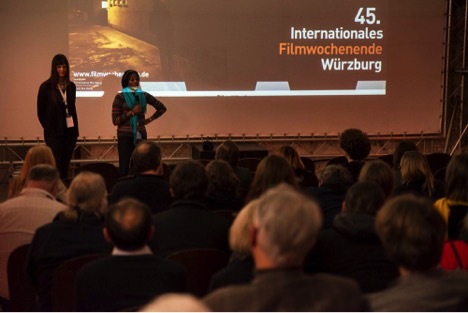 Each event includes a discussion with the filmmakers, followed by a gathering at a nearby bar. Season passes are now on sale for $99 for ten films, though NYFA students are offered a discount. The full season schedule appears below. For more information, visit here. 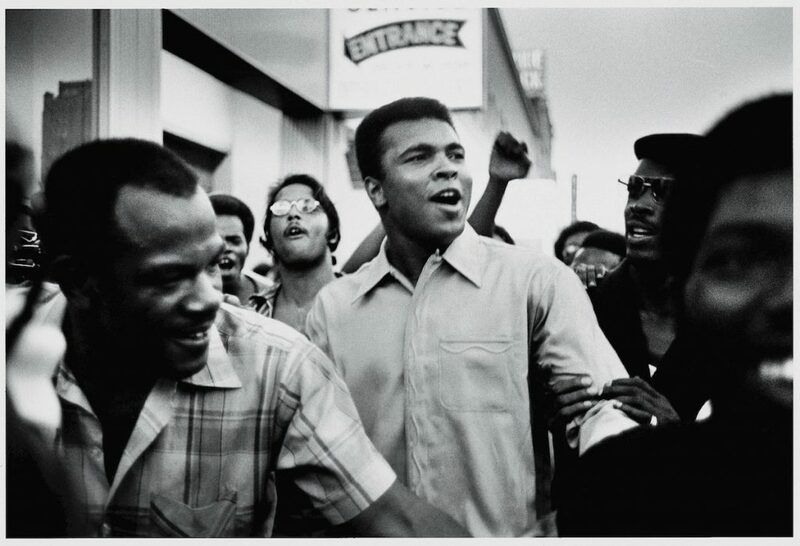 Tickets for Pure Nonfiction screenings are $17 for the general public and $14 for IFC Center members and NYFA students. A Season Pass covers admission to all ten evenings and provides free popcorn at all screenings. It is available for $99 ($80 for IFC members and NYFA students). 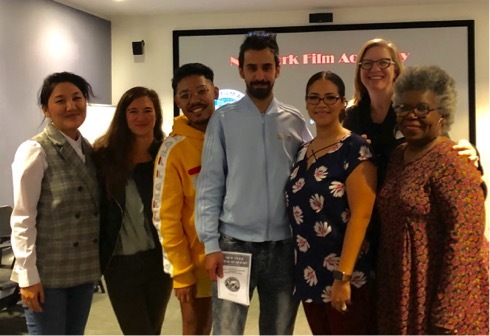 In Spring 2018, a select group of New York Film Academy (NYFA) Documentary students volunteered to create a video honoring the 65th Anniversary of Family Service Agency (FSA) in Burbank. FSA is a privately-funded mental health service provider that specializes in “treating the mental and emotional well-being of children, adults and families suffering silently through Counseling, Preventing, Educating and Advocating since 1953”. 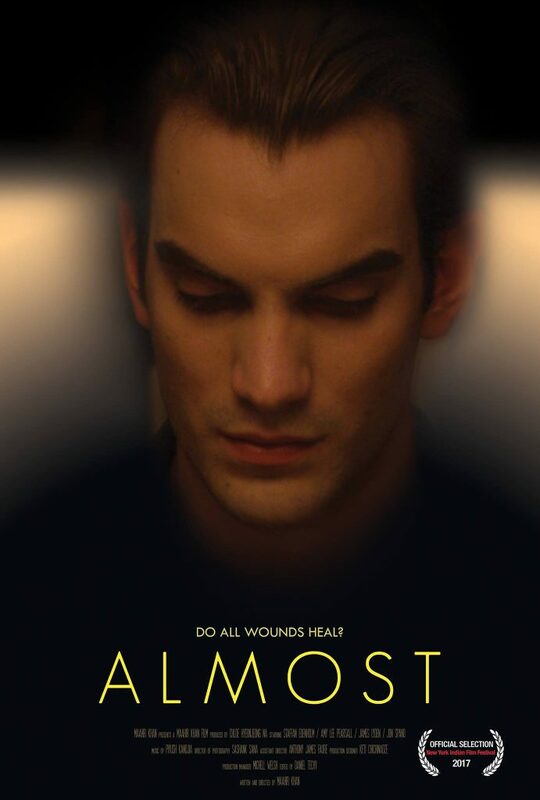 The NYFA team, consisting of Drama del Rosario, Gustav Gibrand, and Asem Nurlanova, started production in April 2018 and were in active production throughout May and June. They participated in the annual 5K Carewalk (shooting and interviewing participants) and then interviewed Executive Director Laurie Bleick, Operational Director Christine Ramos, Clinical Director George Holbrook, and Director of School Based Counseling Services Ginny Goodwin. Because FSA is privately funded by many community sponsors, the filmmakers were granted unique access to several local schools and locations key to the services provided by the organization. 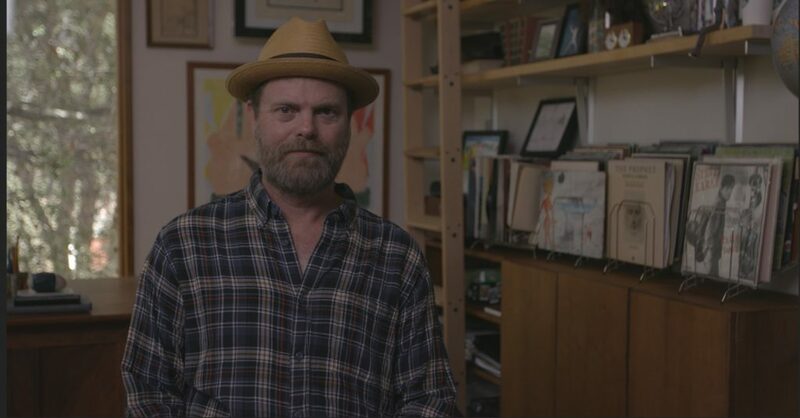 In July 2018, the students, along with NYFA alum, Eva Maria Bukovinsky, also interviewed Brian Miller, Senior Vice President and General Manager of Cartoon Network to talk to him about his service on the Board of Directors for FSA. Bukovinszky then got to work editing the project. The resulting film was screened at the October 5, 2018 gala celebrating FSA’s 65 years of service, and now serves to explain their services on the About page of their website. The crew pitched three ideas and allowed the organization to choose what suited their needs. They chose Drama del Rosario’s concept and this helped form the crew: Drama del Rosario, producer; Lucia Flores, director & editor; Faisal Aldakheel, director of photography and Asem Nurlanova, sound. Production, including on location B-roll and interviews in LaVerne, California, about 40 miles east of campus (in Los Angeles traffic this is tantamount to taking a “road trip”), took about a week. After that, production included further research, writing and gathering of archival footage. The result was screened on January 26, 2019 in NYFA’s private screening room and the organization was thrilled!